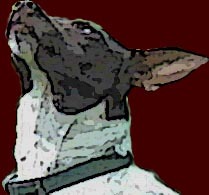 The Rat Terrier was crossed to many different dogs throughout time tailoring them to individual likes and uses. Today's Rat Terrier contains foremost, its original heritage of Fox and Manchester Terrier but combines into its makeup the various breeds shown below. .
Move your pointer over the images to see a larger view. All material on this web site is the property of the NRTA. Reproduction and use of this material with out written permission from the NRTA is prohibited.